Senior officials from Japan, South Korea, and the United States announced last month that they will bolster their cooperation in responding to North Korea’s recent moves in its nuclear and missile programs. 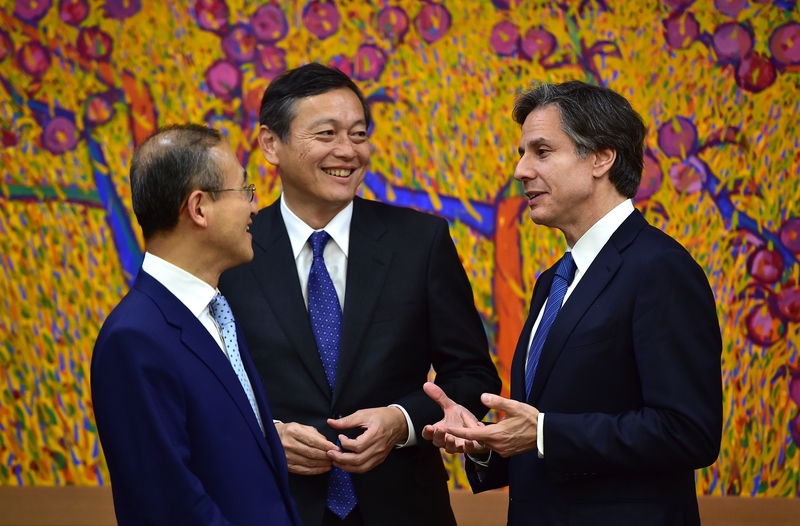 Japanese Vice Foreign Minister Akitaka Saiki, South Korean Vice Foreign Minister Lim Sung-nam, and U.S. Deputy Secretary of State Antony Blinken discussed strategic coordination on North Korea policy when they met April 19-20 in Seoul. At an April 20 press briefing, Blinken cited increased intelligence sharing as an example of the ways in which the three states will enhance their collaboration on North Korea policy, according to a Yonhap report. The three states also will set up trilateral consultations on sanctions implementation, including those for UN Security Council Resolution 2270, which the council adopted March 2. 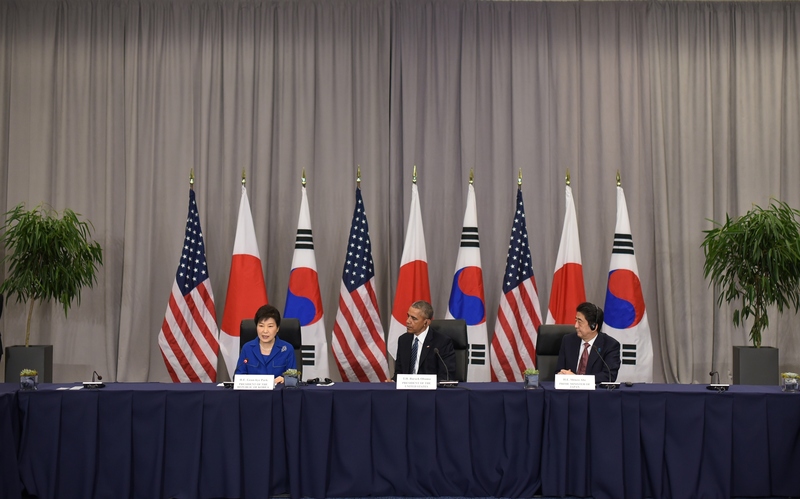 Obama, Japanese Prime Minister Shinzo Abe, and South Korean President Park Geun-hye met on the sidelines of the summit and “discussed ways to deepen [their] cooperation” with the goal of “deterring the North Korean nuclear threat and the potential of nuclear proliferation as a consequence of North Korean activities,” Obama said at the joint press conference after the meeting. Park said North Korea would be “certain to find itself facing even tougher sanctions and isolation” if there were “further provocations” from Pyongyang. Also in April, the United Nations added to the list of items that its member states are barred from sending to North Korea under Resolution 2270, which the Security Council adopted March 2. Román Oyarzun Marchesi of Spain, the chair of the specialized sanctions committee on North Korea, delivered the list to the Security Council in an April 4 letter. The list includes items that are usable in programs to produce nuclear, biological, or chemical weapons or to produce missiles. China has continued to take steps to implement the sanctions imposed by Resolution 2270. On April 7, the Chinese Ministry of Commerce announced a new list of mineral products that cannot be bought from North Korea. The list of additional banned items was adopted “[i]n order to carry out relevant resolutions of the UN Security Council” and includes imports to China from North Korea of coal, iron, gold, and rare earth minerals, as well as exports to North Korea from China of certain aircraft and rocket fuels, with some limited exceptions to the bans, according to the official announcement. China has undertaken similar national bans in the past in order to implement UN resolutions, including an executive order to reinforce a blacklist instituted by Security Council Resolution 1874 in 2009, according to Yang Xiyu, a former Chinese Ministry of Foreign Affairs official speaking at an April 20 press briefing in Washington held by the U.S.-Korea Institute of the Johns Hopkins University. China has banned more than 900 items for export to North Korea, Yang said. U.S. Secretary of State John Kerry stated his appreciation for China’s actions at the meeting in Hiroshima on April 11 of foreign ministers from the Group of Seven (G7) industrialized countries. “China has an enormous ability to send a message to and have an impact on North Korea. And China, we are pleased, joined us in doing some things that have an impact” on North Korea, Kerry said. In March, Kerry had delivered remarks with Chinese Foreign Minister Wang Yi, during which Wang had called for “parallel track” negotiations with North Korea to address both the conclusion of a peace treaty and a denuclearization agreement. (See ACT, April 2016.) At that time, Kerry did not echo Wang’s call for peace talks.